Link to real estate and sites that do not require you to register to view. Just paste the link in the comment box below. This part is important! Make it easier for those browsing shares by including the city, state, build date if available and price (international listings excluded.) A short comment about what you are sharing is helpful. No tiny URL links. Stamped on the back of today’s old house, “W.N. Harbaugh Photographer, Third St. Over Post Office”. Written in small lettering “Canal Dover, OH”. I don’t anything else about the family or if the home still stands. Just a reminder that favorites are going away on 1/31. I’ve had a message on the favorites page for months now so save your favorites by bookmark, Pinterest or however else. Sorry for the inconvenience. 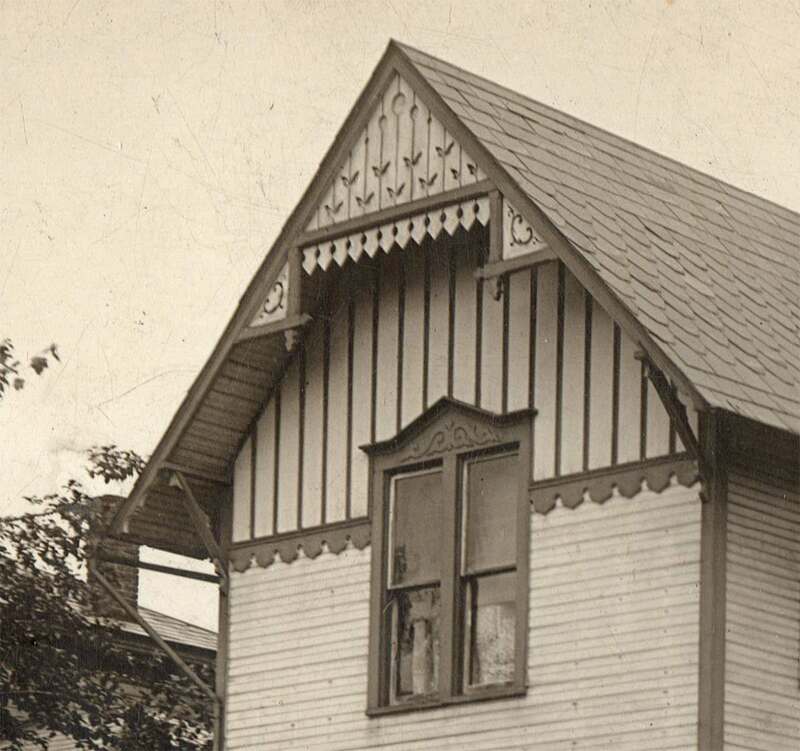 Beautiful detail on that Palliser cottage! I love these pictures. I often go through historic websites that have high resolution photos and zoom in close. So I always look forward to these. I had an 1880s party at my old Victorian house years ago and brought some inside antique furniture into the yard. Most of my guests were confused. I showed them several pictures of people doing it in the 19th century. Though they did have garden furniture, People also did this. I even saw a garden party where it appears the entire dining room set was moved to the grass and the clock was placed gingerly on a small table. I don’t know if this would be Colonial Revival or perhaps Federal Revival. It has just come on the market for the first time since it was built in 1927, this Fontainebleau neighborhood home in New Orleans is asking $849,000. The kitchen has been updated but the original bathrooms are mostly intact. Original detached garage is extant. At some time a pool was added to the backyard. Thanks Kelly! And I forgot to add, there’s an open house this weekend so I’m going to try and go if I’m off work. What an absolutely charming and beautiful house! Despite its elegance, it feels very homey to me. You can tell that it’s well loved, I’m sure they hate to part with it. It even seems like a good price to me. I’d live here in a New Orleans minute! The home values in that neighborhood have really soared in the last 15 years. I live on the edge of the Garden District and so many areas of the city are seeing strong housing prices. Lovely house, inside & out! And I like the 3-tiered clipping of the front’s foundation hedge. While Georgian and Federal-period houses do share many traits, there are two things about this house that place it firmly in the Federal Revival camp. First, and most notably, this house has a fanlight over the door which is typical of Federal-period houses but not of Georgians. Secondly, the windows here are six-over-six while Georgian houses typically have smaller and more numerous panes per window sash. Regardless of its inspiration, it’s still a product of the Colonial Revival. One of my faves. Thanks for sharing! I didn’t get to attend the open house this past Sunday. It’s such a hot neighborhood that the agent had multiple offers by the end of the day. It’s now pending. 1830 Greek Revival, Bedford, Virginia… $600,000. Beautiful house on 19 acres with incredible views, outbuildings and a cemetery! I am glad you posted this one. I was looking at it earlier in the week, but then forgot about it. thanks! This looks like it could easily be a museum. So perfect! Elegant House. I think I’d put the panels back in the metopes though, and find another way to ventilate the attic. I’d want the furniture too……looks like it could be original to the house. What a fantastic property — it has everything anyone could wish for. Thanks for posting this . . . Fantastic and beautifully preserved example of rural Greek Revival architecture and application of Asher Benjamin pattern book interior design. Interesting and informative links! Thank you finding and sharing them! It really is amazing that this house has survived with comparatively few alterations… it is a very special house. From time to time a house posted here fills me with longing for something I can’t describe (the house itself, the land, to have know who lived here and what their lives were like?). This is one of those houses. I am partial to early Greek Revival homes and the amount of intact details here is amazing. I only hope that the new owners avoid “restoring to today’s standards” too much. I found the following article in the local news for the community. It adds a few details about more recent owners and historic photos. A bunch of interesting houses have hit the market around me in the last week. 1. 1871 Gothic Revival in New Hartford, Ct for $599k. This one is a show stopper with gorgeous period woodwork and some incredibly ornate details. 2. 1783 Gambrel Cape in Bantam, Ct listed for $585k. This one was restored by it’s owners, an interior designer and her photographer husband. It is in my opinion out of this world charming and not overdone, which happens often around here. 3. 1786 Cape in Litchfield, Ct. listed at $550k. This one is also charming as all get out, but has been heavily updated. 4. 1870 Folk Victorian farmhouse in New Milford Ct, listed at 175k. This is kind of a sad old girl who needs a good caretaker. The bones are there, and it’s on 5 acres with some barns. I see it stripped back to the essentials, just a nice old farmhouse. 5. 1795 Colonial in Woodbury, Ct. listed at $699k. Slightly unusual, with a hip roof and a wonderful door surround. Nice guest house to the back of the property would make a great antique shop. 6. 1954 mid modern split level in Torrington, Ct listed at 220k. This one grows on you. It’s got acres of space and with a little rethinking could be extraordinary. The first listing shots don’t do it justice. Great sputnik chandeliers in the stair hall, and even a tennis court. All great houses, but the New Hartford is the one for me. I try not to comment on decorating, but I would need to “de-pink” things a bit (or maybe a lot). I know, JKleeb, I thought the same. Some real period wallpaper in that house would be incredible. The Gothic Revival in New Hartford, Ct is just beautiful. I’m a sucker for arched doorways & windows. The fireplaces, the Gothic wainscoting in the dining room and the woodwork surrounding the bay window with that built in pier mirror are all top notch. Very well taken care of house. That 1950’s split in Torrington is great. You’re right, the first few pictures are “meh” but it’s got style throughout. And a lot of original detailing. Love this house! Especially love that it comes with a cemetery. I truly love old cemeteries! I am especially enamored by the exterior. 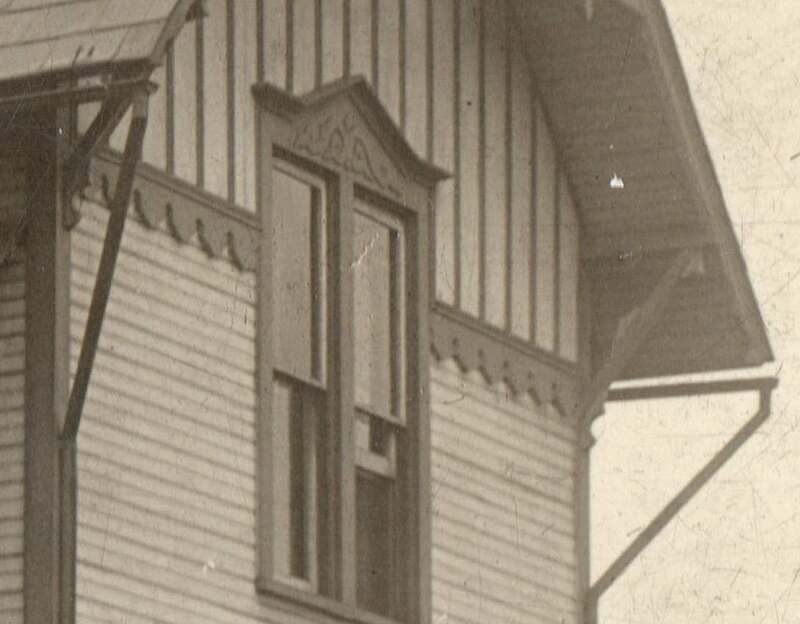 I find the buttress on the outside support of the porch curious, perhaps it is helping support the weight of the second floor? Wow, that is some house! My cats would love the wide windowsills on the stair landing. 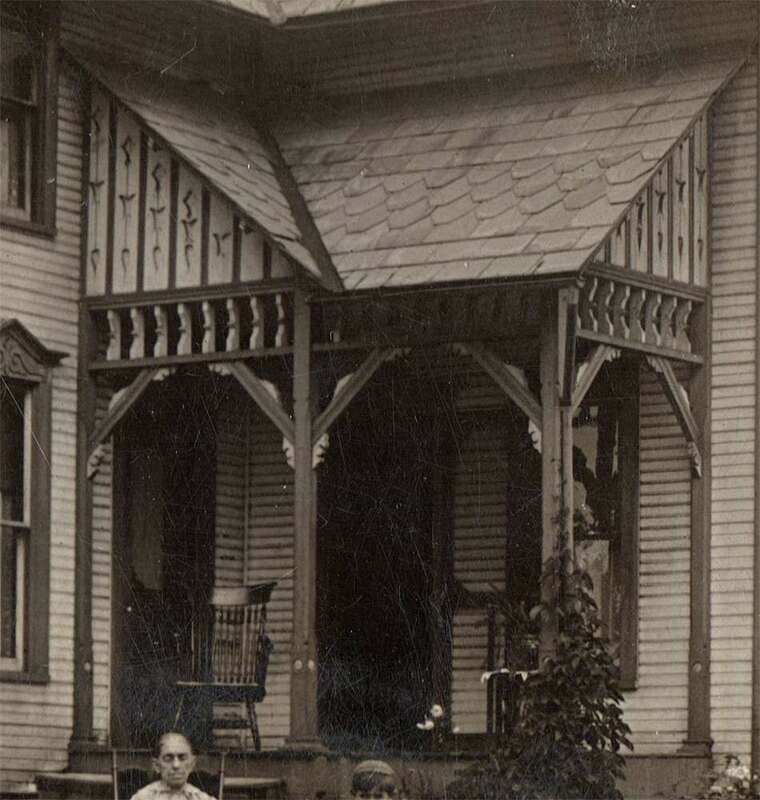 The buttresses… maybe decorative, or maybe to keep the weight of the porch roof from overwhelming the walls – keeping them true?? Gorgeous house! And it looks nicely lived in. Can you imagine decorating for Christmas in this house……! Wonderful house. I think the buttresses are mostly decorative, adding a true Tudor touch. Alexander NC, near Statesville. $180K, 81 wooded acres, two late 1800 homes. One needs cleaning & TLC. The other is more primitive but is worth fixing up as a studio or guest cottage. Electric is run in and water comes from a pure mountain stream. St. Marys, WVA 1812 hand hewn log cabin on 2+ acres for $30K. Was moved to present location and placed on concrete foundation. Fallout shelter also on property. Cute cottage in Chillicothe, MO $20K. Some work has been done; still retains its charm. The one in MO is really cute. I hope someone fixes it up nicely. I can’t believe the price and potential of the Chillicothe cottage! The setting for the NC houses looks quite peaceful. Re: Chillicothe—I could get used to a $296.19 tax bill! Alexander County is pretty quiet – compared to the surrounding counties it’s mostly farmland, but if you’re looking for a quiet place to live it’s very nice, and it’s also an easy drive to the mountains or the large cities of Winston-Salem and Charlotte. The hand hewn cabin is absolutely wonderful! These are really nice finds – I want ALL of them! Thanks for sharing! In spite of its newness, I like this house. I don’t believe the banister (if I may call it that) in picture 47 is original (correct me if I am wrong), I could do without the added baseboard heat in a few locations (a personal dislike because it interferes with book case placement), but overall, I like it. And if one updates the elevator and restores the bath with the old radiator tossed into it, one is all set (except for arranging winter snow removal). I like all of the light the windows allow into the rooms. Sixty-one photos! And the house “oozes”! Oh, well. Those gutters attached by roof straps don’t work here in Indiana. A heavy snow will tear them right out. I would think Oil City has the same climate. Objectively, one can afford new gutters at the price asked for the house. That style does poorly in my part of New York state as well. I can see sitting in the sun room, my old parrots basking in the sunlight while I read. I love how the pooch keeps showing up in the photos! So adorable! love Oil City and love that sweet old dog who keeps photo bombing the room pics! Yes, it needs work, but I could make do here. I do love the older homes. I think you could really work with that existing kitchen. I know it’s not to everyone’s tastes, but a big work table/island would make it very functional. I agree Don, about the New Hartford kitchen……I could add to that easily and it would continue to echo the historic style of the house, which I adore. It appears to have a large walk-in pantry too, so upper cabinets would be superfluous. Agreed on the kitchen. Nice house. I too love the old simple homes. I wish we had some shaker homes for sale to look at. I’m pretty sure this house was on OHD before, maybe 2-3 years ago? I’ve driven by it a zillion times. Nice location… on a residential road, but very close to a bunch of stores – supermarket, drugstore, etc. The library is nearby, too. New Hartford has higher taxes than those in Utica, of which NH is a suburb, but it’s schools have very good ratings. Lots of professionals live in NH..
1800 house, Pottsville PA $9,500. https://www.realtor.com/realestateandhomes-detail/512-S-Centre-St_Pottsville_PA_17901_M44055-11927?view=qv Just a handful of pictures included, but there are some nice details. I think I have seen this one here before, but certainly glad to see it again. I want to know its history. There is certainly something special about this home. such possibilities if structurally sound. I didn’t have much time to look up homes today – I was pretty busy with job applications, so I apologize if these aren’t the greatest quality. They’re all interesting, though! Instead of the mountains where I live, I felt like looking at the coast. 1. New Bern, NC: 1920 (? ), $275,000; A cute home that escaped the floodwaters of Hurricane Florence, and although many of the pictures are blurry I like the mantels and stairwell. 2. Sealevel, NC: 1950 (according to the listing, but it seems older to me), $87,000; a little diamond in the rough in a location that’s fairly remote off Core Sound. 3. New Bern, NC: 1920, $159,900; The listing says it’s a Sears Home, and I assume that someone here would be able to verify it as such. Much of the interior is sadly obscured by piled-up boxes and there’s not even a clear shot of the stairwell, but I liked the fireplace. 4. 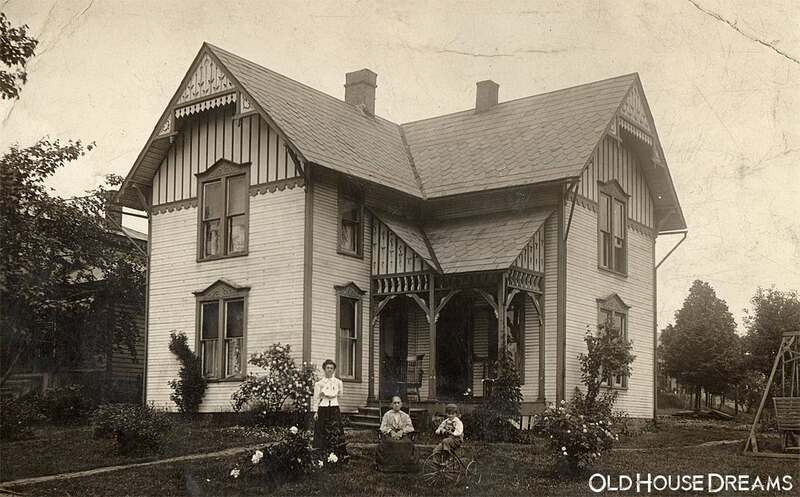 Belhaven, NC: 1906, $350,000; Again, the pictures aren’t the best – we only get tantalizing glimpses at a wonderful entryway and a lovely living room with what looks like pressed tin ceilings. 5. Swanquarter, NC: 1940, $148,800: There is a hefty amount of paneling in this house but an equally wodnerful amount of original woodwork. Swanquarter is notable for being the smallest county seat in North Carolina – it’s unincorporated. This week’s adventure in real estate is up in the coal regions of Pa, about 2 1/2 hours northwest of Philadelphia. 1. This 6 bedroom 2 bath second empire is in sad shape. There appears to be mold in some of the pictures. It is under contract and I hope whoever buys it is going to repair instead of salvage. There are amazing mantles and very unique tile work. $9,900. 2. Orwigsburg, Pa 1887 listed as a Victorian but I believe it’s a gothic revival? 3 bedroom, 2 bath and quite a beauty. She needs some work inside but nothing drastic by the pictures. 3. Pottsville, Pa, this grand lady is listed as a Victorian with a build date of 1868? She must have been stunning in her day but must have seen years of neglect. 4. This week’s “wow factor” house is currently or recently a B&B. I am glad you showed the Hazelton property. It is unique. I enjoy the fireplace, the beams, light fixture over the dining room table and that old Spanish door. Would love to know its creators story. That Hazelton home is not really to my taste, but major kudos to whomever had the courage to build something they loved, with no concessions to resale value, beige carpet or middle class conformity. I would love to meet these people. Husband has a huge client in CT. It might mean we will be moving to CT. I started looking for properties 2 acres or above and taxes that we can manage. Here are some I found. 1700 cape that clearly needs work but very, very charming. A very lovely 1789 Colonial on a lovely piece of property. A Mid Century with a great basement. I actually like this mid century. I got a bit distracted and found myself in Holly Springs, MS which has an amazing amount of old homes. I am in love with this house. This Greek Revival is on the National Historic Register. Built in 1845. The price is amazing. This I cannot get in CT.
Sue I was in this house last week. It needs a lot of work but a lovely house. The yard in it’s day was spectacular and could be again. There was a bit of mildew and mold that would need to be addressed. You notice pictures of the kitchen are not included. The kitchen is about a 12×12 that has the washer and dryer in it. Seems amazing at this price. I’d want to try to get it with the furniture! Realtor said all furniture was available with the exception of the chandeliers and one piece of furniture. Suzy, I was suspicious when there was not kitchen pics. I would have loved to have gone through it too. Just a beauty. SUE, how about this home? 9.5 acres, Windham Co, older but nice, $264.9. Lots of other country houses on this site. Happy hunting! Tess, I love it but my husband would cry. I also have three horses and would like at least an existing barn on the property. Sue, As the owner of the mid-century modern, I appreciate the compliment on the basement! We actually have an Old House Dreams listing too: https://www.oldhousedreams.com/2018/05/29/1962-ranch-windham-ct/ If you have any questions, feel free to be in touch with our realtor: Jeanne@homesellingteam.com. I’m originally from Maine myself! Jess, I LOVE this house! I actually have it saved on realtor.com. However, I have three horses and I was questioning the effort (and zoning) on clearing property for them. Were are you from in Maine? We are in Windsor, outside of Augusta. We have an 1802 cape. Thank you! We actually looked into the zoning once and I think we’re Agricultural II which means “small livestock” like a couple of goats or a cow. We were only thinking something like chicken or goats and we didn’t end up pursuing it any further so I’m not entirely sure. Our realtor would probably know! I’d love to have an old house in Maine! I consider my home town to be North Leeds, ME. I don’t know how many of you, if any were subscribers to Victorian Homes magazine. I got a notice last month that it was being discontinued and I would get American Farmhouse Style instead. I’m so disappointed, this magazine is on the other end of the spectrum as far as Victorian goes. I called and asked if not enough people were buying or subscribing to Victorian Homes, I was told the reason was because the editor was no longer with Engaged Media who puts out the magazine. SO DISAPPOINTED! Cindy, I used to subscribe to Victorian Homes beginning in the 1980’s. For many years they featured nice homes with opulent interiors but always homes in the U.S.. Then the Downtown Abbey phenomenon happened and they could have just as well have changed the magazine’s name to English Victorian Homes. They also branched off into fashion and swallowed the Downtown Abbey theme hook, line, and sinker. I didn’t renew my subscription after that and some other subscribers I knew shared that they also departed the magazine for the same reasons. I think someone who was a decision maker for the magazine orchestrated this total departure from the original focus of the magazine (American Victorian homes) and refused to go back. Not surprisingly, this much altered magazine apparently lost its reader base and now is no more. One person I know was quite irritated that their subscription was finished with a magazine (American Farmhouse Style) they had no interest in. I still think a nice photo rich magazine focusing on American Victorian homes as well as before and after restoration stories could continue to be successful. If such a magazine returns I’ll be happy to subscribe to it. I personally knew one of the writers for Vic. Homes and she wrote very informative articles and brought in some talented photographers. The opportunity to recapture disenchanted subscribers of the original Victorian Homes remains, in my opinion. Thank you Kelly for another reminder to clean out My Favorites. I simply pulled up each I wanted to save now, right clicked to create shortcut, put them on my desktop, then added them to my own OHD FAV folder. Done! Also, I wanted to sincerely thank you for the best community on the web for vintage properties. ALL of the hours you put in to make this site what it is, as well as the wonderful, knowledgeable community that teaches us all little things about so many of the houses, sometimes providing great links to learn even more. So kudos and hugs to Kelly, and thank you to all the contributors that make this site wonderful to come to. That’s a good way to do it too. Thanks, glad you are enjoying it and I appreciate you saying that. 🙂 I needed the virtual hug today too! Totally agree! Thank you Kelly for this great site! It’s my oasis of calm, the place I go to when I need my brain to relax. I totally escape into other worlds and other eras looking at all the beautiful houses on this site. I’ve found so many dream houses! I can’t thank you enough for all the work you do to create this wonderful community. 2) 1930, $129,900; kind of Tudor(ish) & cute, I like the bottom of the staircase & the many gothic-y pointed archways. Vintage kitchen. I’d pull up the carpeting to expose the hw floors! 3) 1906, $389,000; Craftsman/Shingle/?? (combo of 2-3?? – not enough knowledge); large house; I love the foyer & entry hall & staircase! (incl. the wallpaper… Wm. Morris, maybe? ), a lot of built-in bookshelves. I’d personally change a few things decor-wise, but only a few; a generally really lovely house, IMO, with plenty of character. 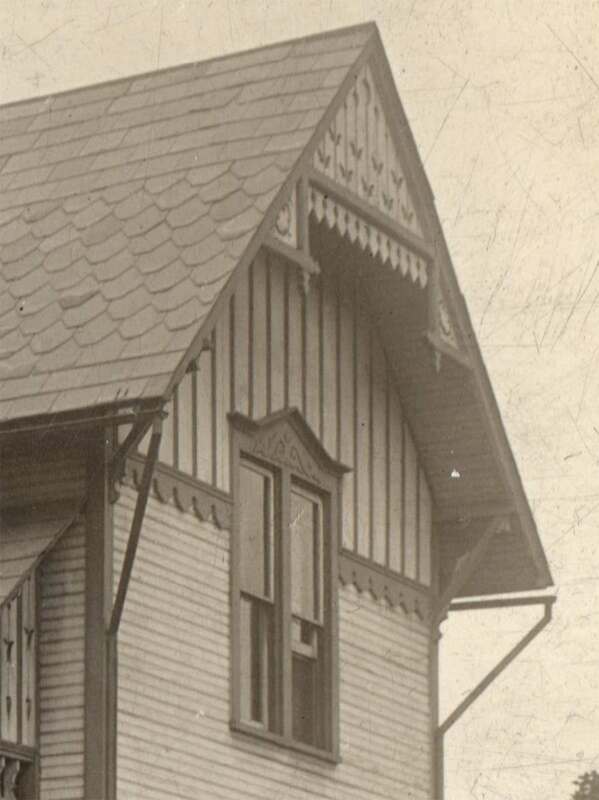 Large upstairs porch, eyebrow windows. #3 is modeled after English Arts & Crafts. Elyria, OH, 1904, $129,900. I love the staircase! Classic Second Empire style home from the 1860’s-1870’s here with lovely details inside and out. The generic date of 1900 is often used for older homes that the agent doesn’t know the age of. If I had the resources, I’d buy a zillion copies of A Field Guide to American Houses (by Virginia McAlester) and make sure every real estate office in the country had a copy. There was a recent discussion on OHD about moving buildings. Here’s a video of moving an 1800’s silo….all 30′.. 9200 lbs. of it. This for posting this Cora….If you look at the last two pictures of the grand 2 story staircase hall it had an uncanny resemblance to the great Gallery Hall in the Newport RI Gilded age mansion The Breakers. That was built for Cornelius Vanderbilt in 1895 by architect Richard Morris Hunt. I wonder if the two architects collaborated? I’ve looked at a lot of mansions in the UK, and this is the equal of any of them. And “only” $145K a year of taxes (according to the MLS). I suppose if you can afford the purchase price and upkeep these taxes would be chump change. From the looks of the grounds, I’d say it’s been empty a good long while. It’s fantastic. 1870. This big, old beauty has too many wonderful details to mention them all. It appears to have more than one vintage kitchen, many, many decorative windows, doorways, built-in cabinets, light fixtures. Some very old bathroom fixtures. Nice floors and staircase. Ooh! So many adorable features. I love houses like this with little nooks and crannies. Thanks for sharing Cora! Cora, the radiators with doors are plate warmers. I posted a few ads for them a couple of years back. There’s no way to closely regulate heat in a radiator, so you wouldn’t put food in there (sorry, Cathy). Plates hold heat longer, so it would work to have warm plates in the dining room to serve on. That’s a fine house in Lewisburg that would be great for someone who lives to strip and refinish antique woodwork! Cool! I love those little doors…and anything quirky like them. Houses were so much more fun back then. Here is one example from a book in 1885. Here they refer to them as “warming closets”. What a great assortment of radiators! It’s too bad the unique ones are so much a thing of the past, particularly considering their wonderful combination of beauty and functionality. So true. Like most everything. The highly ornamental ones are my favorite. Just found this. I always thought it was just for plates, but this image shows a Chicken in one. That’s a new one for me too, lol. I would wonder why someone would take fresh food hot from the oven and put it in there instead of serving it, but I guess it could be done! So weird. I love learning new things and thought you’d like to see too. I love archive.org. I have seen and leaned so much more here. At least during the winters, vintage dining rooms equipped with only radiators may have had cooked foods that would rapidly chill. (I’ve also seen fine antique glass vessels marketed as “spoon warmers”) Thus, I believe such radiator warming shelves were not hot enough for cooking purposes but would allow individual dishes to be served warm to guests and family around the dining table. 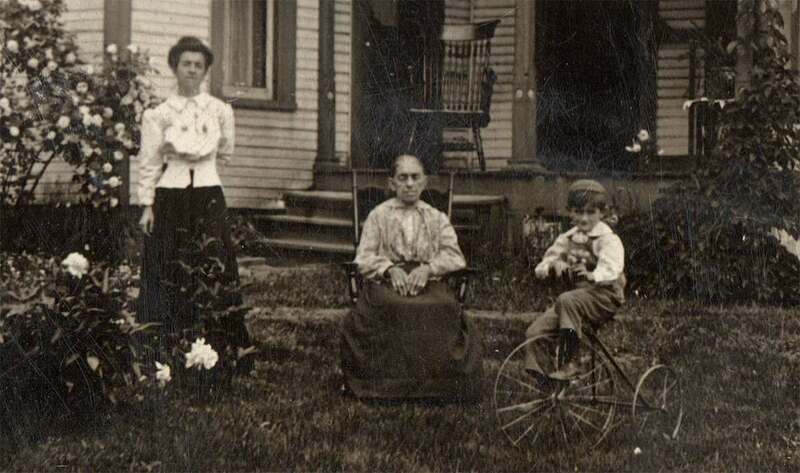 In well-to-do households, multiple course dinners were the norm and were served by household servants. Examples of Victorian era formal meals (as well as domestic life and culture) can be found in the very popular (many editions published on both sides of the Atlantic from 1861 to the early 1900’s) Mr’s Beeton’s Book of Household Management-this is a 1895 edition: https://archive.org/details/b21539364/page/n7 showing the formal Victorian dining table set for that period. A later edition from 1907 uses more modern terms for recipes: https://archive.org/details/mrsbeetonshouse00beetuoft/page/n5 If you’ve ever wanted to stage or recreate a Victorian dinner with authentic period recipes, this is arguably one of the best resources. Years ago, I bought at auction an 1880’s edition of this classic book. In summary, this is one of the most complete resources of Victorian domestic culture to be found in a single book. Mrs Beeton also wrote a book on Victorian needlework. Wonderful find, Cora! An unique old place filled with loads of original details, yet enough to do for those of us who like a project or two – AND located in a community full of trees and other appealing old places… Perfect! I accept the 1870’s as an original date. However, it looks like in the late 1890’s the house received a major makeover adding many Classical/Colonial Revival details inside the earlier house. The staircase retains the 1870’s details such as the Italianate style newel post. Seems like a lot of house for the money. Thanks for sharing. 1924 Craftsman, Russell, Kansas… $56,000. 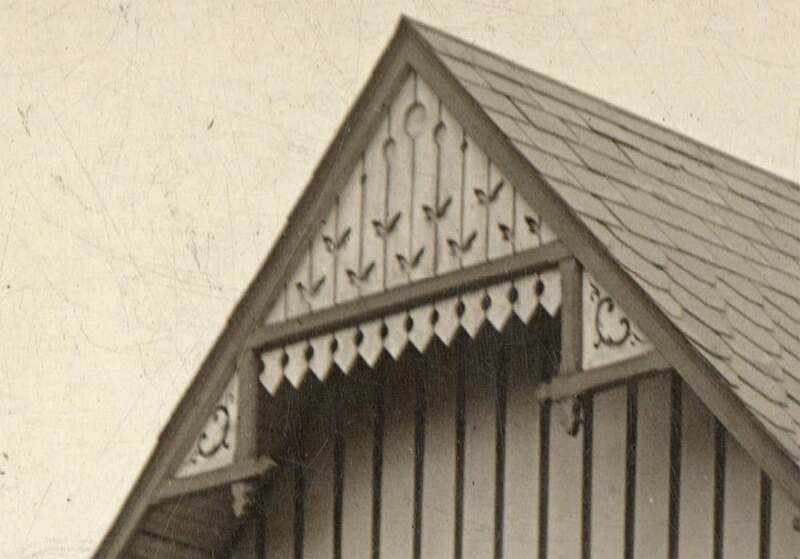 This house is a kit house… the “Hampden” by Wardway (Montgomery Ward / Gordon Van-Tine). It retains lots of original features – even the original exterior color scheme! And a cool cistern pump in the back yard! WOW! I bet that thing cranks out hot water! That coil is amazing! Maybe some will remember this home, posted many years ago. I’m sorry to see a fire pretty much destroyed it. Such a very sad end to such a wonderful house. Hard to believe though, there were that many people living there….makes you wonder…and the detectors were not operational…..lucky all got out but one. The pub is cool (does all of the liquor come with it?😉) and I like the seating area on what I assume to be the mezzanine level of the inn. 1920’s according to the town history. Interesting place and building; not obvious what a good use might be there with Pacific Lumber gone. Definitely a sleeper! With interior details as nice as those seen in the entry I have to wonder what might be hidden beneath all of the steel siding… it could be a real show place inside and out. Beautiful house in seemingly perfect condition with some wonderful Pewabic tile. Very nice location with private amenities. Being from the Seattle area, I am always blown away by how far your money goes in the midwest. Be difficult to replace this, or many other houses we’ve seen for this money. Very interesting stacked plank construction on this very attractively priced, move-in-ready home in a nice location. Maybe done with a little too much white paint, but lovely anyway. Nice house needing a little work, but nice kitchen and has many lovely elements of the period. Great house and restoration project with some mech. updates done. 164 Boland Street, Sparta, Georgia – Built in 1890, this lovingly restored historic home is waiting to welcome its new owners! Priced to sell at just $79,900 with over 2,700 sq ft! Let me know what you think! Adorable house at an adorable price. Not too sure about the neighborhood..? More photos with street view is available on Zillow. Retaining/boundary wall, pillars, ironwork worthy of a palace! I can’t quite make out the style of the façade/second story. 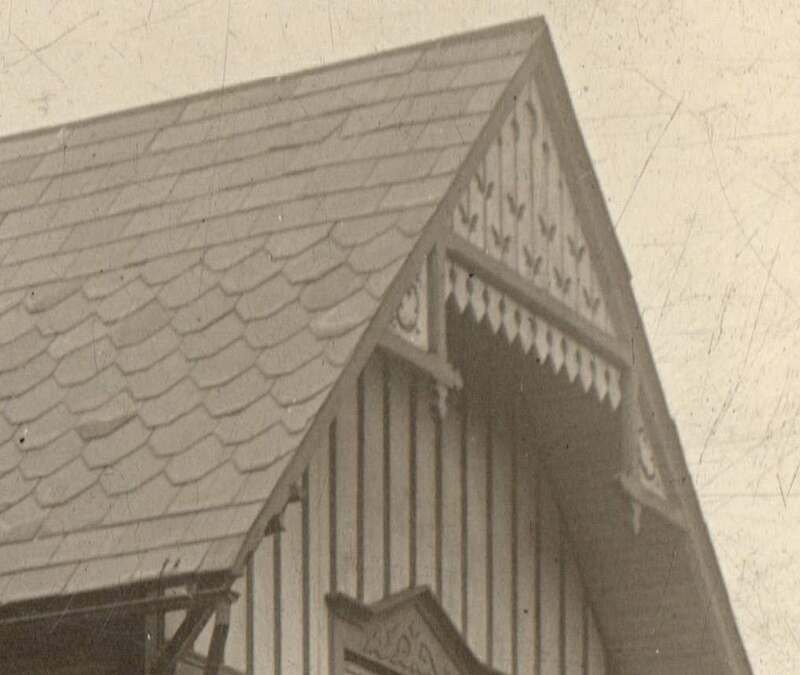 Could it be a mansard that has been simplified and sided? Are you signed up for new listing emails? I just got one about this less than 10 minutes ago, you have a knack for posting listings that I’ve seen within minutes of your share! lol 🙂 I’m curious how you are so fast? !